It's time for an all new Sparkle Creations Rubber Stamps Challenge! Each week we will post an all new challenge at this time (9 PM PST on Mondays). 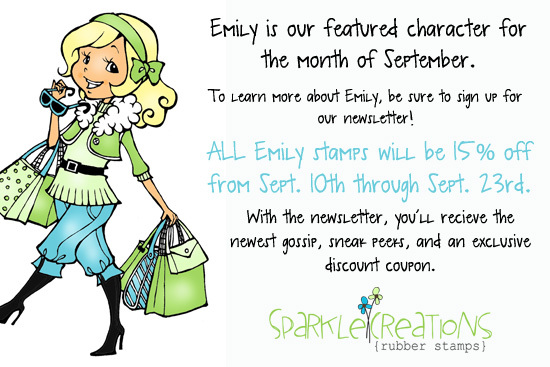 For all the details, please visit the SCRS blog. 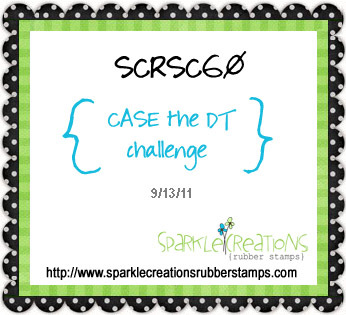 This week's challenge is to CASE one of the design team! Thanks to everyone who stopped by to see previews last week! I always appreciate your visits! Accessories: Die-namics Bracket Tab, Dainty Lace Border, Rolled Mum (My Favorite Things); Long Rectangle Nestabilities (Spellbinders), Corner Chomper, Markers (Copic), Felt, Crystal (Prima), Foam tape, Thread, Sewing machine. What a darling card Stephanie! 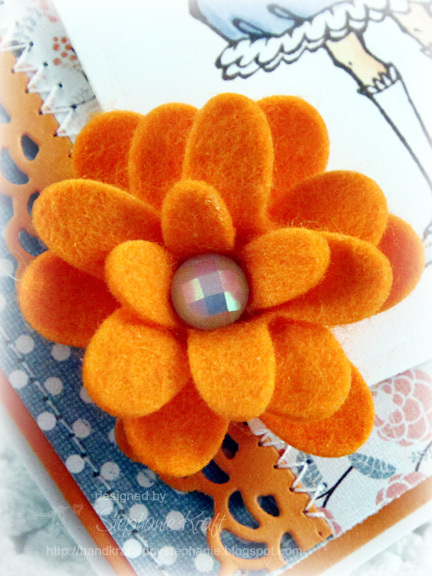 Love the color combo you used and that orange felt flower is stunning! Those cookies look scrumptious! What a sweet card! I love the felt flower you added, Steph! I am still playing catch up in blog land at the mo, I have enjoyed having a good look around your blog to vheck out everything I have missed, such inspirational work as always!! 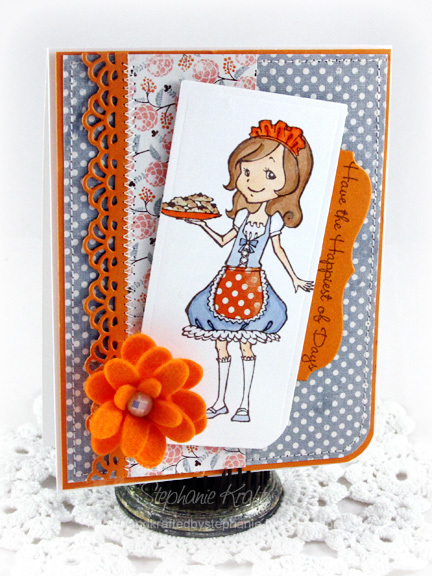 Love this card, gorgeous colours and the felt flower is to die for! so sweet and beautiful! love the felt flower, too! fab card, Steph!